Our 2019 Exhibition Schedule now available! The Newark Arts Alliance displays work by local artists in monthly exhibits year-round in our Exhibition Gallery. Exhibits are a mix of themed shows, which are open to submissions, and solo/group shows. We encourage community members to submit works of art to our themed exhibitions. 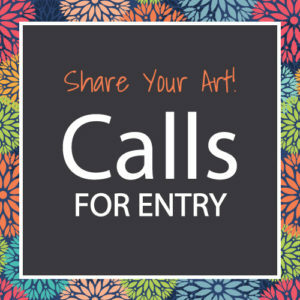 Artists under 18 must have a parent, guardian, or teacher sign their submission form. The 2019 Exhibition Submission form will be posted online soon. Please note: Due to the volume of submissions and space considerations, even excellent work is sometimes not accepted. The Committee will not respond to queries on why individual works were not accepted by the jurors, nor why individual solo show applications were not chosen for display. Originality (no kits or copies); well-crafted, skillful execution; and professional presentation. Hanging work must have picture wire securely fastened with hardware to the back of the frame. Central hanging devices (e.g. rings and saw-tooth hangers) do not work with the NAA’s hanging system. This organization is supported, in part, by a grant from the Delaware Division of the Arts, a state agency, in partnership with the National Endowment for the Arts. The Division promotes Delaware arts events on DelawareScene.